Petzl Corax Climbing Harness. The CORAX is the versatile harness par excellence: easy to use and comfortable, it is designed for rock climbing, mountaineering or via ferrata. 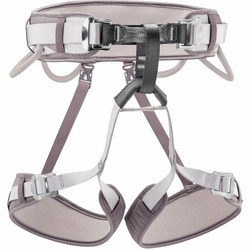 This adjustable harness is available in several colors and in two sizes, to fit all tastes and body shapes.